The Russians did not allow the Ukrainian Ombudsman Lyudmila Denisova to visit Ukrainian journalist Roman Sushchenko unlawfully kept in the Lefortovo detention center, according to the information on her Facebook page. "Deputy Head of the institution has just came and said that the documents have been returned to the Moscow City Court. To my question - Is that a refusal? - the answer was - Go to the court, they know everything there (I also attach the photo of the court decision). The written answer was not provided either. According to them, all correspondence will be provided through the Federal Penitentiary Service," she noted. Lawyer Mark Feygin on his Facebook page called the refusal to Denisova to visit Sushchenko in the Lefortovo detention center "an outrageous violation of rights." According to him, the pretext was chosen "judging by the comment of a member of the PSC on TASS, the most idiotic." 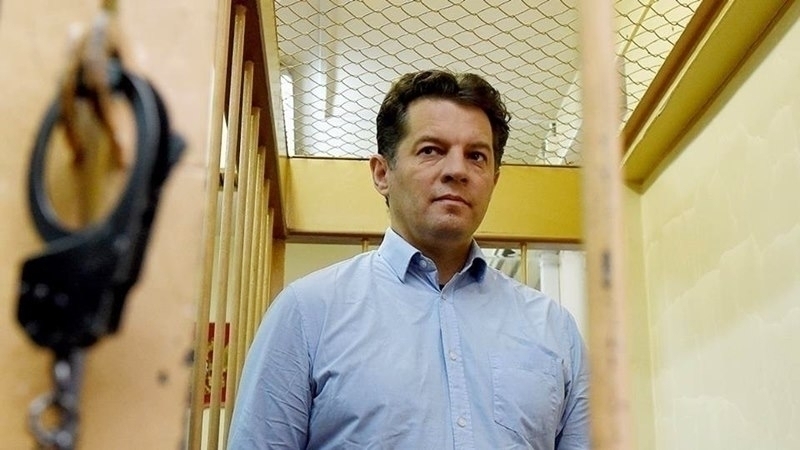 “I visited Roman Sushchenko today and deliberately shortened the meeting in the detention center so that before the lunch time the Ukrainian Ombudsman Denisova could get to him. She had permission from the Moscow City Court. It is not very clear who dared to annul it. The visit had legal grounds," he said. QHA reported that the Moscow court sentenced Roman Sushenko to 12 years of strict regime. Mark Feygin noted that after the announcement of the sentence Roman Sushchenko the opportunity exists to begin negotiations on his exchange and return to Ukraine. President of Ukraine Petro Poroshenko, in turn, said that Russia would be punished for mocking Ukrainians.